Learn the Essence of Tai Chi in 8 Moves. This set is for busy people who want a short, fun and effective set that will produce results quickly. 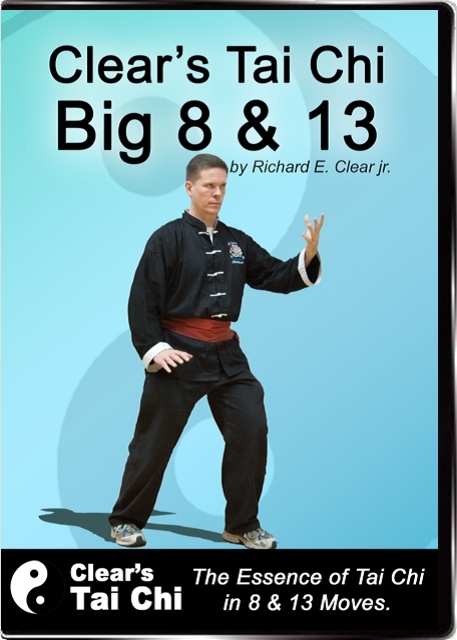 Clear’s Tai Chi Big 8 Move Set is also excellent for advanced students who want to focus their study on the internal principles, concepts and application of Tai Chi instead of learning hundreds of movements. The 13 Move set expands the 8 by adding a few more movements for those who want a slightly longer set.